North America will experience a wonderful astronomical event on August 21, 2017 - a total eclipse of the sun. This hasn’t happened in the United States in 38 years and is the first one to race across the entire country since 1918! This will be the first total eclipse in North America in the digital photography era, and that means that everyone from novice to professional photographers will be able to photograph it. We are embracing this rare phenomenon and will publish articles, photos and videos between now and August to give you the necessary photographic skills and background information to capture this eclipse. 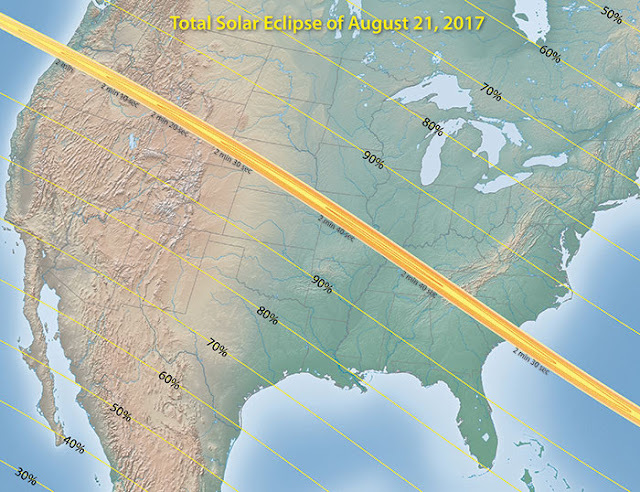 Considering the path of totality and partial eclipse phases, almost a half billion people will have the opportunity to view at least a partial eclipse. Millions will undoubtedly travel to the narrow path of totality stretching from Oregon to South Carolina. It’s estimated that about 225 million people live within a day’s drive of the path of totality. Areas north and south of the totality path will see a partial eclipse. The partial eclipse will be visible as far north as the Arctic, and to the south as far as Ecuador and Brazil. You don’t need to be a seasoned pro. Anybody will be able to shoot this with the proper precautions but if you really want to do it up right, you’ll need to plan ahead. Planning is everything with a project such as this. Over the next few months, we’re going to guide you through the necessary steps and ideas to consider in order to photograph a total eclipse of the sun. We’ll cover which cameras and what lenses will be best for eclipse photography and show you what size sun disk the various focal length lenses can produce. Please don’t think you’ll need an expensive camera to record this year’s solar eclipse. We’ll show you how to get the most out of your existing camera whether it be a PowerShot SX60 HS point-and-shoot model, or all the way up to the top pro DSLR, EOS-1D X Mark II. If you’re considering purchasing a new camera or lens, the timing couldn’t be better. Canon’s camera/lens combinations will definitely be of interest to you. The focal length of the lens is important if you want a large sun disk in your frame. For DSLR shooters, we’ll show you what all the big “white” longer focal length lenses will produce on each sensor size. The most important consideration throughout this project is visual safety and that means using an accredited solar filter. Never look at the sun without an approved solar filter either in the form of solar viewer over your eyes or glasses or a solar filter placed on the front of your camera lens. If you’re just photographing and not looking at the sun with your eyes, you’ll only need a solar filter for your camera lens. If you think you’ll be looking at the sun during the partial phases, then you will need a solar viewer with approved solar filtration for your eyes or to fit over your glasses. These are inexpensive and should be considered for children and other friends or family you might have on your solar party list. During totality, you won’t need any solar filters for your eyes or camera lens. It will seem as though it is almost nighttime for about two and a half glorious minutes during one of the most beautiful natural scenes on earth. Then we’ll consider the importance of “feeling” the experience. Capturing sun disks is only part of the experience. During the last stages of a partial eclipse and on through totality, a lot will be happening to the light, terrain and animals around you. You will be amazed at the effect the near darkness will have on everything. There are three main types of solar eclipses: Partial, Annular and Total. An eclipse of the sun happens when the moon passes between the sun and earth in perfect alignment, so as to block part or all of the sun from us on earth. Our position on the earth’s surface determines the amount of coverage of the sun. Actually, an eclipse happens during every moon cycle but the angle of the moon and sun places the eclipse in space and thus cannot be seen on the surface of the earth. A partial eclipse occurs when the moon partially occults the sun. 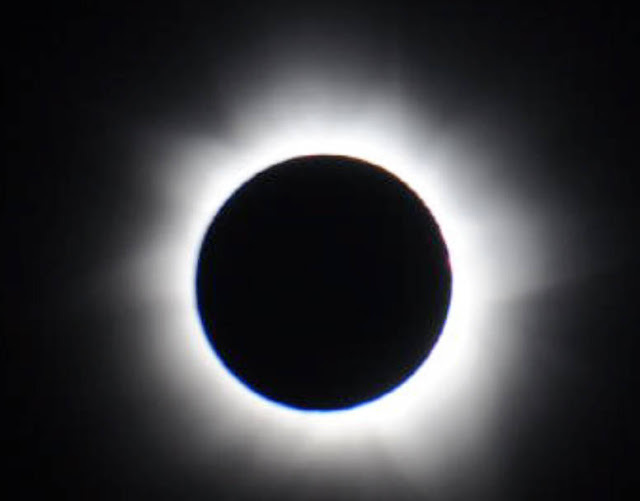 That may be a result of the viewer not being in the path of totality or there simply isn’t totality due to the shadow of totality going off the surface of earth into space. An annular eclipse of the sun occurs when the moon passes exactly in front of the sun but the moon is farther away from the earth and doesn’t completely block out the sun. There is a thin “ring of fire” of the sun around the moon. You need an approved solar filter for the complete eclipse cycle since the sun’s disk is still visible and is never completely covered. A total eclipse, like the one coming this August, occurs when the moon passes in front of the sun but is at the perfect distance from earth so the size of the moon is the same as the sun. Therefore, completely blocking the sun, leaving only the very faint corona around the sun visible. This is the rarest of all of the eclipses. What makes it especially rare to us in North America is that it usually happens over remote areas of earth or in the middle of an ocean. 90% of the 2016 total eclipse happened over the southern Pacific Ocean. The fact that the August eclipse will completely track across the United States means that more people in North and Central America will be able to view this than just about any other eclipse in history. Additionally, since we will also be able to capture it digitally, this will be a really exciting opportunity. Over these next few months, we’ll cover the technical aspects of exposure, consisting of optimum ISO, aperture, shutter speeds and various techniques. As well as adding a few ideas on location set-up and behind-the-scene preparation - you’ll have a complete tutorial on how to make this all happen. If you have a question for Dave or Ken, click on this link (eclipseguys@gmail.com) and they will respond in an upcoming eclipse article. This eclipse will prove to be the most photographed event of 2017, so get ready to join us in capturing this wonderful natural phenomenon. It will be thrilling. It will be the greatest show on earth.